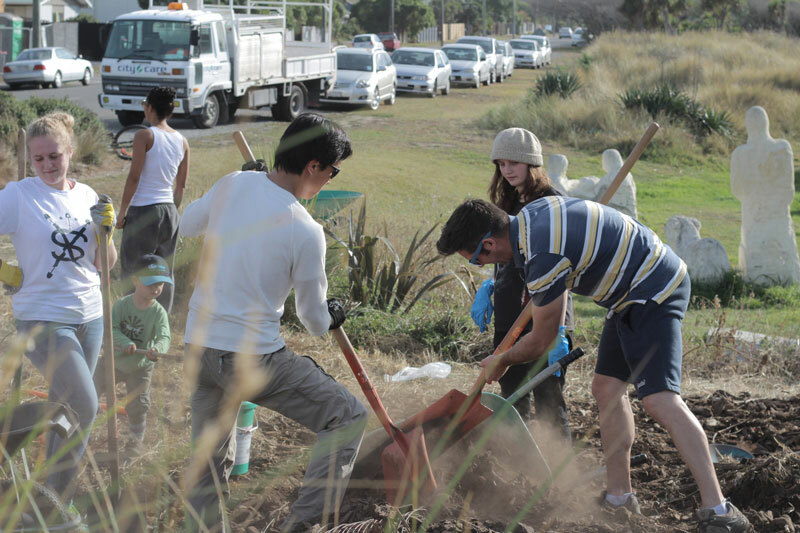 The UC SVA organises four large scale volunteer events per year in the Canterbury region. These events accommodate between 100 and 1000 volunteers. The SVA is the largest club on campus, with over 2300 members in 2016. The SVA has won the “Best Community Contribution” award four years running at the University of Canterbury Students Association Supreme Club Awards from 2013-16. The UC SVA believes people of all ages, backgrounds and abilities have something valuable to contribute to their community. Our organisation is focused on learning new skills, meeting new people and making a positive impact in our communities. The UC SVA is an incorporated society operated by an executive of 30 University of Canterbury students. The Executive is appointed each year by the Student Volunteer Army Charitable Trust. The Trust was established to further the values and ethos of the original SVA. The Executive works together to implement the clubs initiatives and create volunteering opportunities in the community for the students of the University of Canterbury. The goal is to create events that inspire students to continue to volunteer throughout their university career and beyond. Anyone can join the movement either as a supporter of our work or as a member of the UC SVA. Our Canterbury events are all advertised via the SVA App which you can download from the app store. Like our FB page to stay update with all things SVA. More than just upcoming events, photos and videos – there is loads of great content about volunteering, social enterprise, UC stuff and more. Established in 2017, and winner of the ‘Best Event’ at the UCSA Supreme Club Awards 2017, this is the first event of the year, catering for up to 1000 students. This event aims to inspire and activate as many students as possible to give volunteering a try. 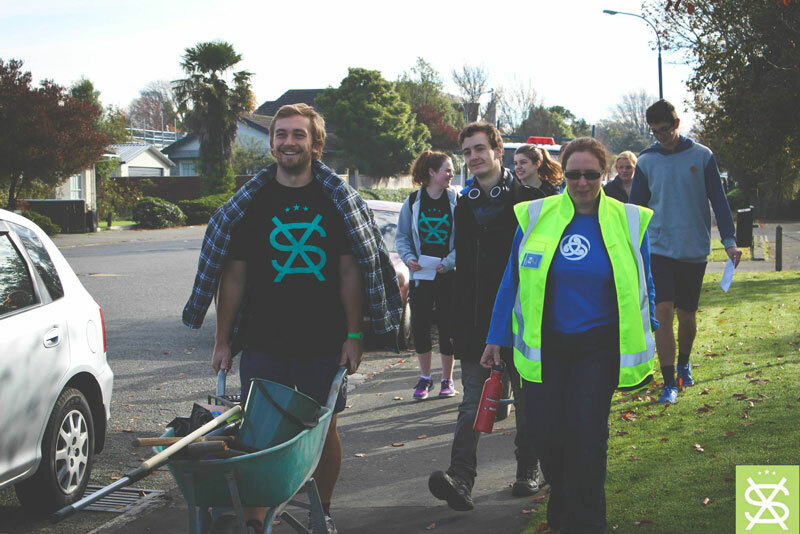 Students head to a location in Christchurch to complete a large scale volunteer project followed by a barbecue, live music and a celebration of the morning’s work. 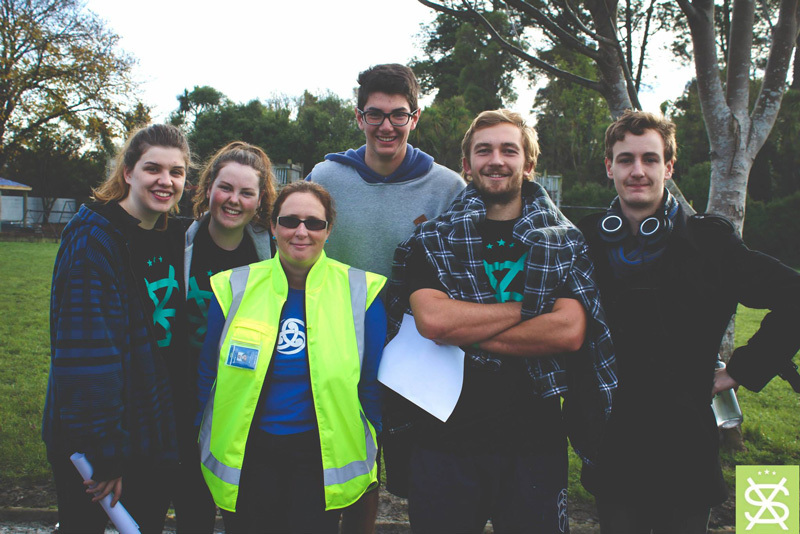 We run two SVA camps which involve taking 100 volunteers to a location out of Christchurch for the weekend. The camps typically run over either one or two nights, and include social events alongside the volunteering work. This event was established in 2016 and thus far we have travelled to the Marlborough Sounds, Akaroa, Hanmer Springs, and Kaikoura. 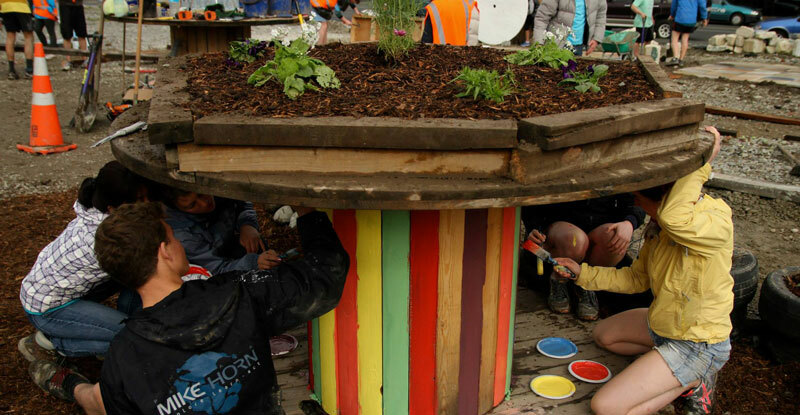 This event caters for between 200 and 500 volunteers and involves taking volunteers to a Christchurch suburb for the day and taking part in a wide range of small-scale volunteering projects. The mornings work is followed by a barbecue which is shared by the volunteers and the community members. The UC SVA runs a project catering for 5-50 volunteers every weekend of the academic year. These projects cover a wide range of volunteering efforts, from garden work to working with the elderly and animals. The smaller scale of these events means they can target specific needs within the communities we work with, and leave a real and positive impact. The UCAN program is run by the UC SVA in high schools in and around Christchurch, and aims to motivate and inspire high school students to get stuck into volunteering. The program gives students the tools, skills and enthusiasm to make volunteering part of their lives and their school culture.